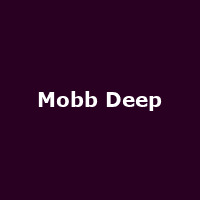 Mobb Deep are New York-based rappers Havoc and the late Prodigy, formed in 1992. The pair released their debut album "Juvenile Hell" in 1993, followed by "The Infamous" (1995), "Hell on Earth" (1996), "Murda Muzik" (1999), "Infamy" (2001), "Amerikaz Nightmare" (2004), "Blood Money" (2006) and 2014's "The Infamous Mobb Deep". Prodigy passed away in 2017.